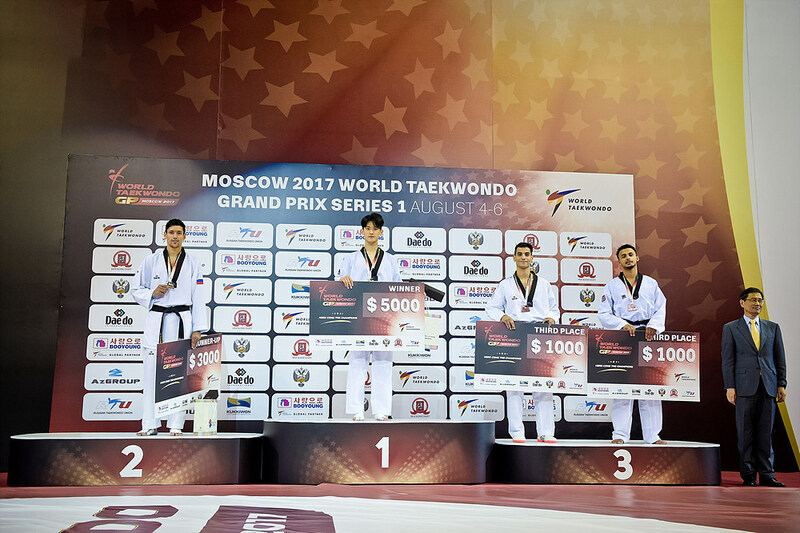 London-born fighter, Christian McNeish has achieved his first bronze medal at the World Taekwondo Grand Prix 2017 in Moscow, Russia. The ex-kickboxer fought off some tough opponents to reach the -68kg Semi-Final, such as 2015 World Champion Jaouad Achab of Belgium. His eventual medal was won against Rio 2016 silver medallist and home favourite, Alexey Denisenko 15-17. Elsewhere, Rachelle Booth reached the last 16 of the -57kg division before going down to Olympian Raheleh Asemani (Belgium) on golden point whilst, -68kg athlete Peter Longobardi-Radford made a 1st round exit.